This is a new and expanded second edition of The Book of Abramelin, a modern classic of Magic since it was first published in English by Ibis Press in 2006. The new material includes copious footnotes and an extensive index. It is the first modern translation of this critical magical work since S.L. Macgregor Mathers�s original translation over 100 years ago. Not only is the language updated, but Georg Dehn, the compiler and editor, has sourced his work from all extant manuscripts, whereas Mathers used just one. The result is a stunning new translation, which has already set the occult world abuzz. Abraham von Worms, long thought to be a pseudonymous figure, is nearly conclusively proved to be the well-known 14th century Jewish scholar, Rabbi Jacob ben Moses ha Levi Moellin, and more commonly known as MaHaRIL. Some material attributed to him is still used in synagogues today. Georg Dehn is a life-long student of all things esoteric, which led him on the quest to not only translate The Book of Abramelin, but also to follow in the original seeker�s footsteps through the Middle East and eventually to the hermitage at Araki. He is the founder and publisher of Edition Araki, a German publishing company specializing in the occult. 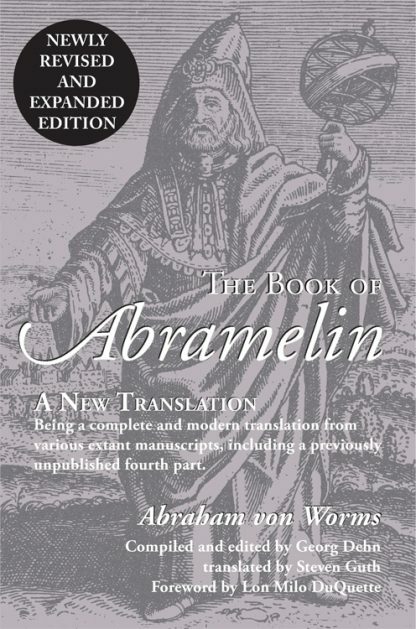 Dehn is the author of many works, Abramelin being the first to be translated into English. He lives in Leipzig, Germany.